Baader Planetarium's 2458240 adapter converts the M84 thread on Pentax telescopes to a female M68x1 Zeiss thread. 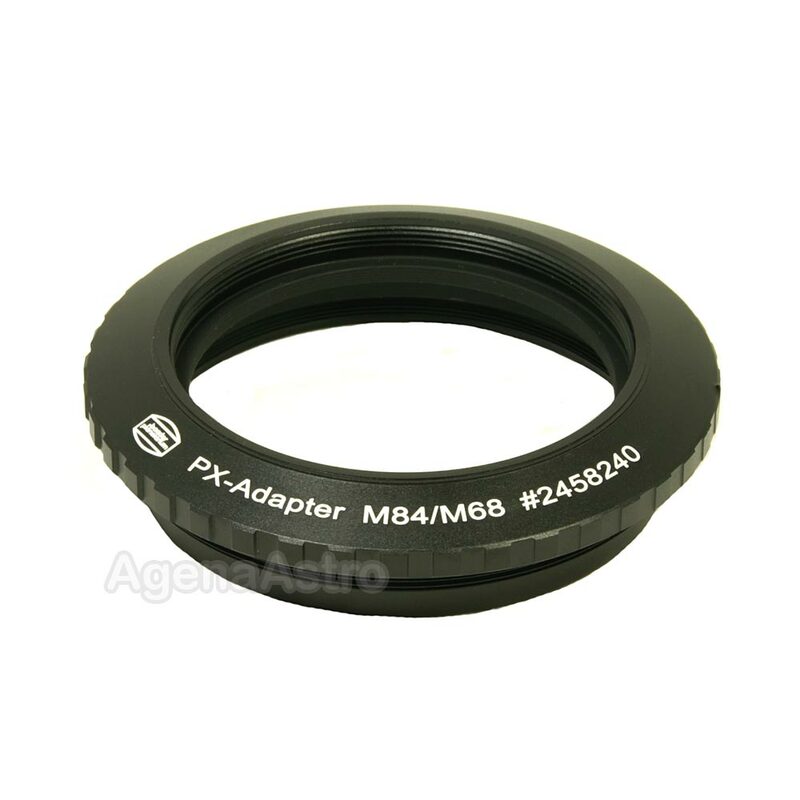 This allows you to use other M68 threaded Baader accessories such as the Ultrashort 2" Eyepiece Clamp (# 2458196) on Pentax OTAs. I bought this to modify it for use with a Teleskop Express Wynne 3" coma corrector, which requires the exotic and hard-to-find, hard to make M68 female thread. I had no use for the 84mm male thread on the other end, but managed to build this into a very nice system for holding my SBIG STL camera to the Wynne corrector on my 12" astrograph. Without this, I would probably have had to pay someone to make me an adapter with that metric threads. Agena was the only place in the US that had it in stock, as far as I could tell, and shipping was very fast. Great job!